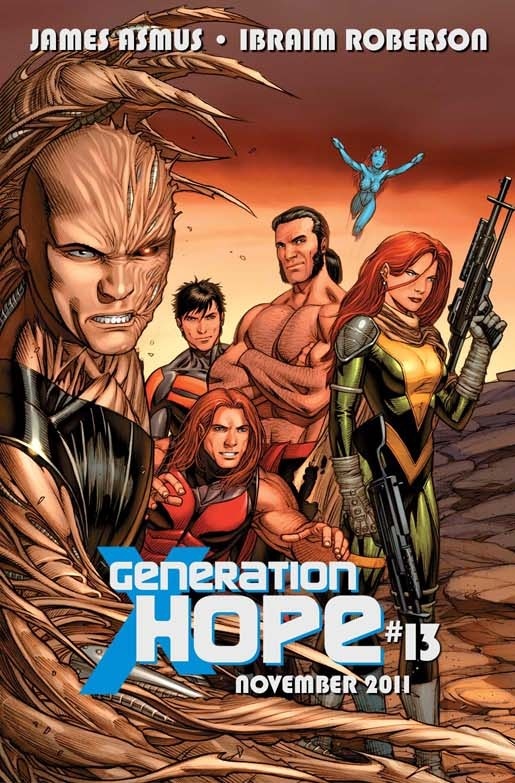 Generation Hope is a title featuring a group of teenage mutants including the messiah child Hope and a group of teenage mutants known as the 5 Lights. The title is launched in 2010 and is written by Kieron Gillen and pencilled by Salva Espin, Tim Seely and Steven Sanders. With #13, the title was written by James Asmus and pencilled by Ibraim Roberson. The title ended with #17. Generation Hope is under Cyclops' banner. 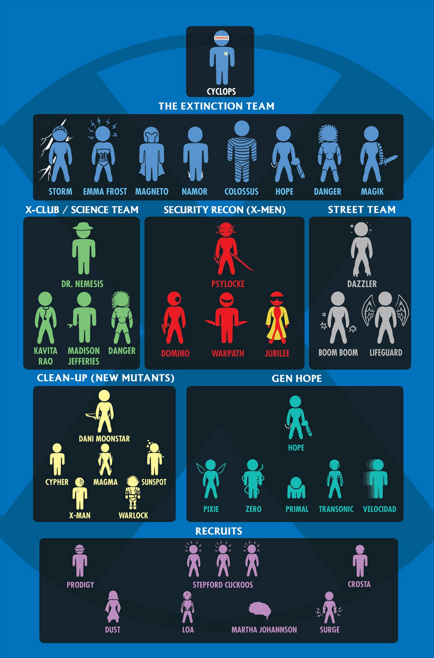 For other teams under Team Cyclops and Team Wolverine, check out Regenesis. Generation Hope features Hope Summers, Transonic, Velocidad, Teon and Zero. The young X-Men Pixie agreed to join the Five Lights to provide teleportation services. Martha Johansson was invited to join by Zero. 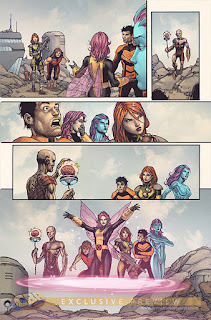 Shortly after the return of the messiah child Hope Summers to the present, Cerebra detected 5 new mutants. 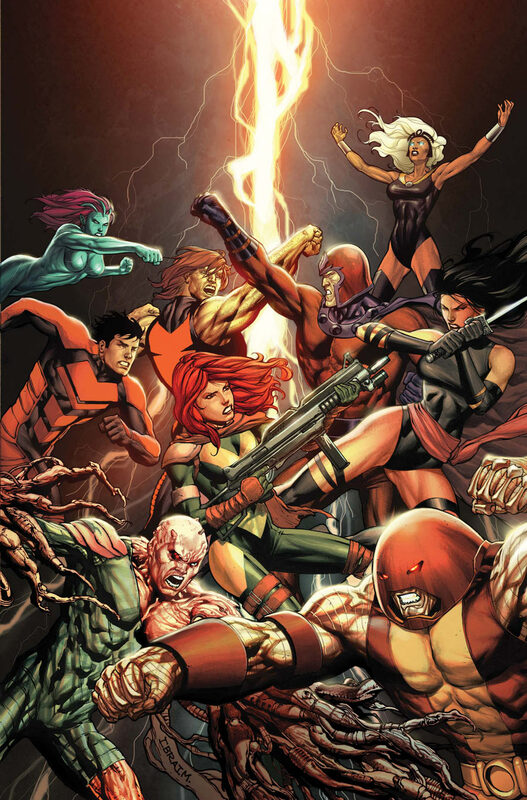 Cyclops dispatched the X-Men to monitor each of the 5 mutants while Hope and Rogue travel to help these mutants. These new mutants seem to struggle with the onset of their powers and were only stabilized by Hope's touch. So far, Laurie, Gabriel, Idie and Teon seem to be loyal to Hope. The title sees Rogue, Hope and the team pick up the 5th Light Kenji in Japan. However, Kenji went beserk and attacked New York, fighting Cyclops and Wolverine. With the help of the team, Hope managed to subdue Kenji and bring him in. Hope decided to convert the group into a search-and-rescue team. 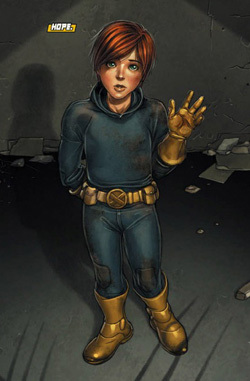 Cyclops replaced Rogue with Kitty Pryde as the team liaison. The team found the 6th Light in Germany as a baby in his mother's womb who is afraid to be born. The team managed to convince the baby that it is worth it to be born. However, the team was unable to save the 7th Light in Sheffield from committing suicide. In the events of Schism, Oya was with the X-Men when they appeared at the mutant history museum in San Francisco. They were attacked by the Hellfire Club and Oya was forced to kill Hellfire Club members to prevent further bloodshed. 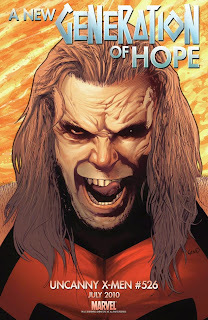 When Wolverine fell out with Cyclops and led mutants away from Utopia, Laurie forced Hope to accept that Oya is better off away from the Five Lights and with Wolverine. Hope and the rest of the Five Lights are currently under Cyclops' banner in Utopia island. Hope recruited Pixie while Martha Johansson was recruited by Zero. Their first mission following the Schism was to travel to Pakistan to rescue the mind-wiped former villain Sebastian Shaw. When the Lights returned to Utopia, Shaw was attacked and imprisoned by Cyclops. Cyclops showed Hope a dossier of Shaw's past deeds and left it to her to decide if she should let Shaw join her team. With resentment for Hope for how she had been dealing with the Lights boiling, Zero hatched his plot, controlling the inhabitants of Utopia to attack and kill her. Zero's plot was eventually stopped by members of the Lights and Hope destroyed him with the help of Martha Johansson. 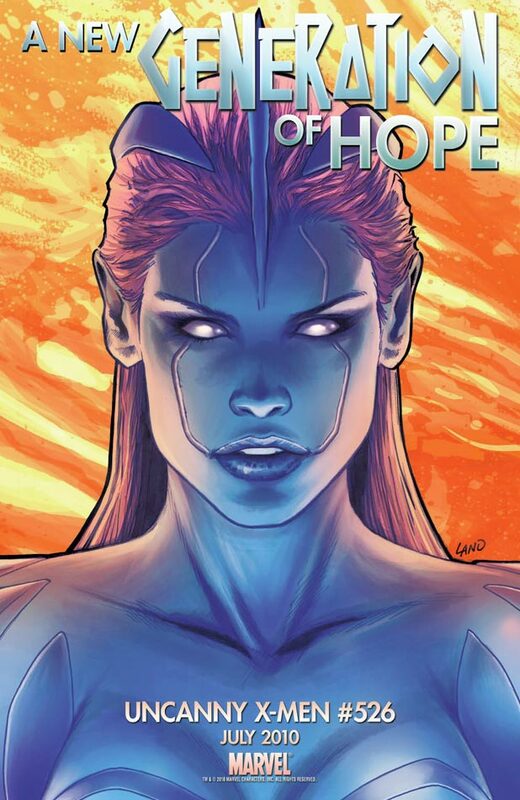 Hope was the first mutant birth in a long time since M-Day in which most of the mutant population lost their powers. Her birth in Cooperstown, Alaska attracted Sinister's Marauders, who knew of her arrival via several prophetic avenues, and Reverend William Stryker's Purifiers, who had information from the future Sentinel Nimrod. Her birth also shot out the X-Men's mutant tracking machine Cerebra. Both sides fought to find the baby and the X-Men traveled to Alaska in an attempt to find the baby but she had already been taken by the X-Man Cable, raised in the future, who regarded the baby as a messiah. The X-Man Bishop, also raised in another future, believed Hope caused the death of millions of humans which led to the subjugation of mutants in his own timeline. He got to Cable and was about to kill the baby when the Marauders arrived to take the her. 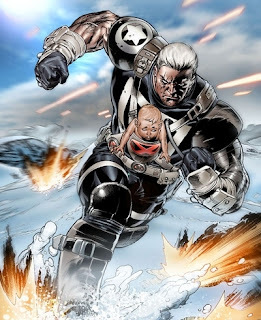 In a major battle among all sides involved, Cyclops got hold of the baby and gave her to Cable so that he can raise her in the future. 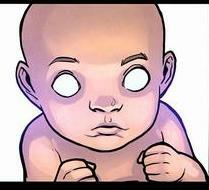 Cable raised the baby as they hop through the timeline evading pursue by Bishop. After an encounter with Bishop, Cable took Hope to the safe haven New Liberty where he married a woman named Hope and raised the baby to a child. New Liberty was eventually invaded by an army of humanoid roaches who called themselves the United States Army, upon which Cable escaped with his family. He eventually killed the President. However, Cable's wife was killed shortly after. 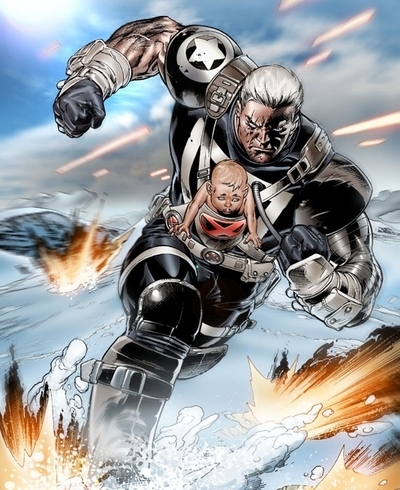 Cable named the baby Hope after her adoptive mother. Bishop soon allied himself with the evil clone of Cable, Stryfe. Meanwhile, Cyclops sent the X-Force to the future to check on Cable and the child. The team found Cable and Hope in time to fight Bishop and Stryfe. After rescuing Hope from capture at the hands of Bishop, X-Force returned to the past. While preparing for a time jump, Hope was separated from Cable and stranded herself 2 years away from Cable. Cable eventually re-united with Hope. Bishop caught up with Cable and Hope and the pair had to fight through the parasitic Brood and undergo many time jumps to shake off the pursuit. They managed to trap Bishop and return to the present timeline. Her return was noticed, as Bastion sent his forces in an attempt to kill her. 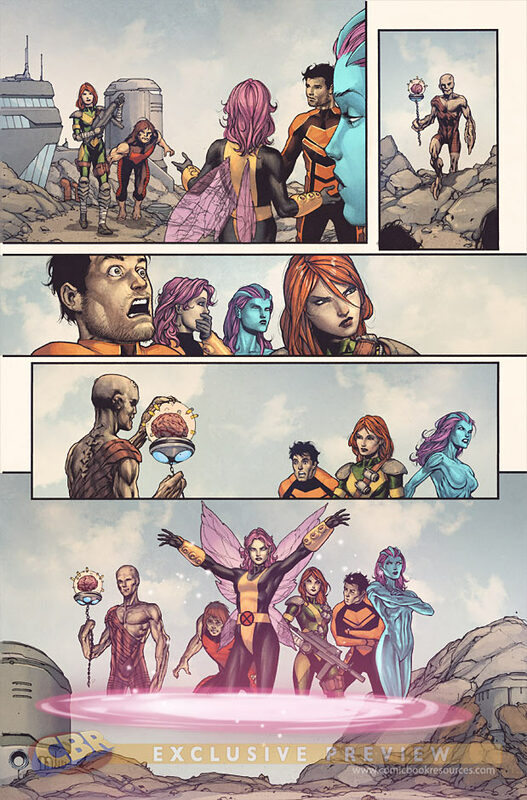 The X-Men mobilized to protect her and managed to get her back to their island Utopia. 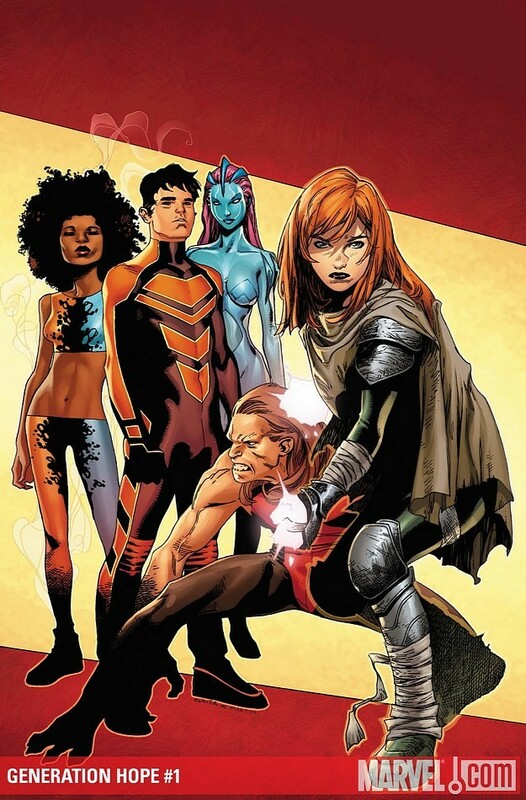 When Bastion arrived at Utopia, Hope manifested her powers for the first time, utilizing a variety of other mutants' powers, including the Phoenix Force, to destroy Bastion. Shortly after, five new mutants emerged. Cyclops dispatched the X-Men to monitor each of the 5 mutants while Hope and Rogue travel to help these mutants. These new mutants seem to struggle with the onset of their powers and were only stabilized by Hope's touch. 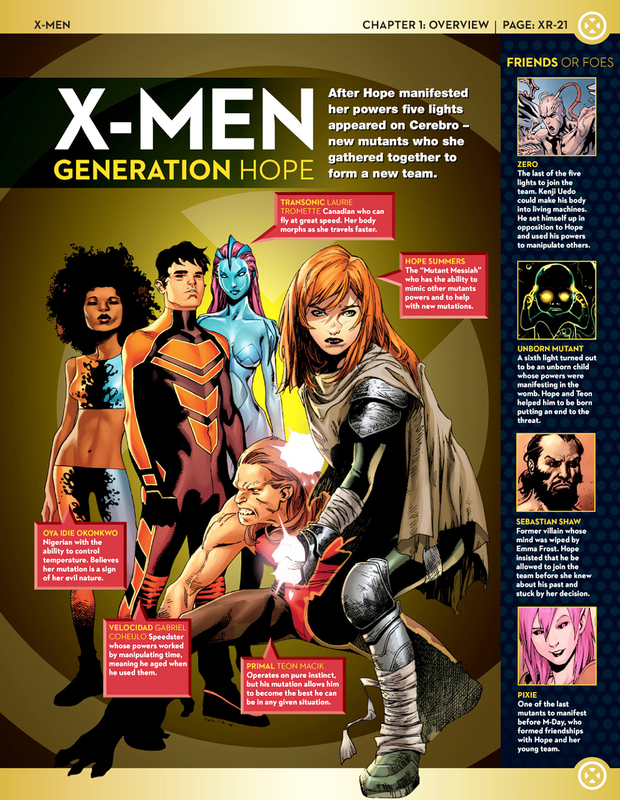 Hope became the leader of the Five Lights, which became a search-and-rescue team for new mutants. 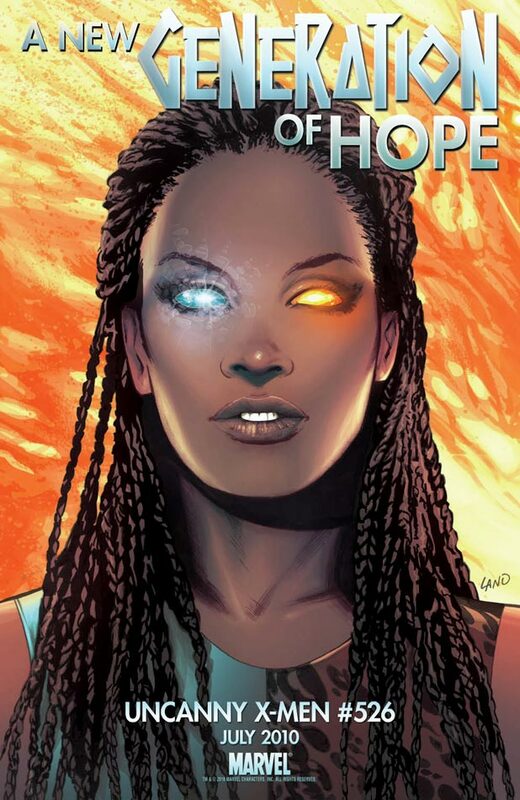 Hope also became a member of Cyclops' X-Men. Hope was attacked by teammate Zero, who was unhappy with the way she deals with the Lights. With the help of Martha Johansson, Hope destroyed Zero. The Phoenix Force is currently on its way to take Hope as its host. Laurie is a studious person who sometimes wonder about her deep loyalty to Hope. 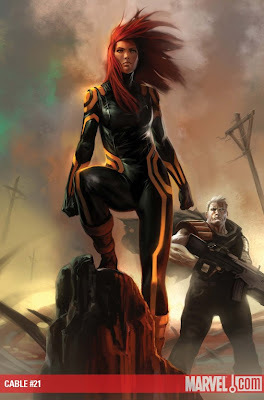 Zero recruited her to attack Hope Summers but she backed out in the end, helping Hope defeat Zero. Gabriel is attracted to Hope and shared a kiss with her once. However, when he was caught by Hope while flirting with Pixie, resulting in both girls' unhappiness. He revealed that the usage of his powers is aging him prematurely. Idie believes that her powers are a curse. She is the youngest of the lights at 14. Oya left the team to join Wolverine's side. Teon is seemingly a feral mutant capable of speaking only a few words. However, while in a court, he managed to articular his thoughts in an intelligent manner. He likes to spar with Wolverine. When Kenji's powers manifested, he went on a rampage and destroyed a part of Tokyo before he was stopped by Hope Summers. He was brought to Utopia along with the rest of the Five Lights. He harbored resentment for Hope for the way she treated the Lights. Eventually, he controlled the inhabitants of Utopia to attack Hope but was eventually destroyed by Hope with the help of Martha Johansson. The 6th Light was in his mother's womb when he controlled the people in the hospital. The Five Lights traveled to the hospital where they managed to calm the baby and convince him that it was worth it to be born into the world. The baby released control of the people and was born into the world. When the 7th Light's powers manifested, he was ridiculed by his friend. He committed suicide before the 5 Lights can arrive to bring him in. Martha was a mutant runaway who was captured by the U-Men. Their founder John Sublime had her brain removed, keeping the disembodied brain alive in a a capsule. Martha was controlled by drugs and syringes. She was eventually freed by X-Men Cyclops and Emma Frost and she took revenge on Sublime by mentally forcing him to fall to his death. Martha became a student in the Xavier Institute's Special Class under the mentorship of Xorn. Fellow student Quentin Quire invented a special hovering case to hold her brain, allowing her a level of mobility. Martha befriended another student, Ernst. 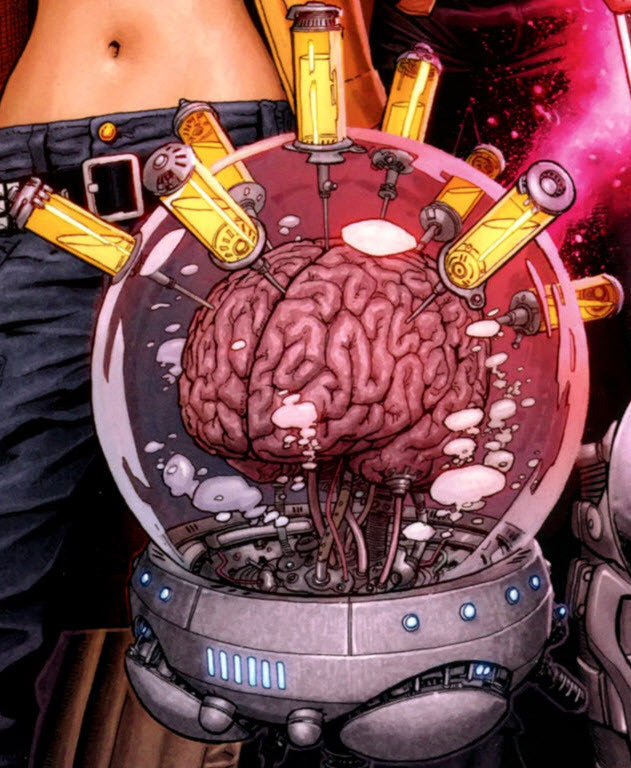 When Xorn turned rogue, destroying the school and forming a new Brotherhood of Mutants, Martha and Ernst joined him. 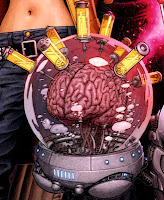 After Xorn was stopped, Martha returned to life as a student. After the X-Men relocated to Utopia, she stopped Quentin Quire's plan to destroy the island. 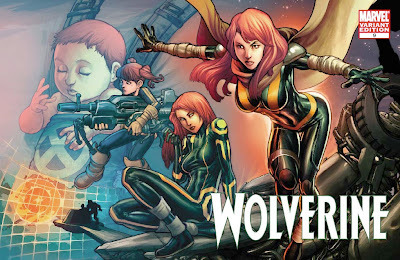 Following the schism between Cyclops and Wolverine, Martha stayed with Cyclops and was recruited into the Five Lights team by Zero. Zero used his powers to give Martha a new physical body. When Martha discovered that Zero was using her all the while in preparation for attacking Hope, she helped Hope destroy him. Megan is a Welsh teenager from the mining town Abergylid. For years, she believed that her father died in the mine and she was raised by her grandparents. After enrolling at the Xavier Institute, she was assigned to be part of the Paragons training squad under the tutelage of Wolfsbane. She was voted the Friendliest Student. Some time later, the Institute students were brought to the otherworldly Limbo. A group of students, including Pixie, fought demons and were saved by the Darkchilde/Magik, who was created by the Belasco, the ruler of Limbo, out of the memories of Illyana Rasputin. Pixie submitted to Magik's request to use her soul to create a Soulsword and Bloodstones. The process was interrupted by fellow student Anole, and only one Bloodstone and a Souldagger were created instead. The Souldagger was actually a portion of Pixie's soul and black magic now filled the hole left behind in the dagger's creation. A portion of her pink hair changed to black. Pixie was taught a teleportation spell by Magik and she used it to teleport the group of students to save the other students from Belasco. Magik was able to defeat Belasco. 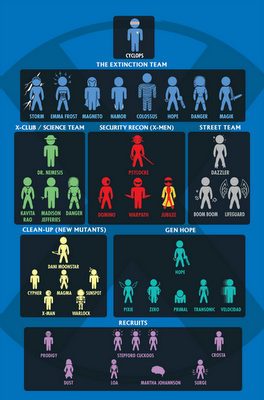 The students returned to the Xavier Institute and Pixie was added to the New X-Men team. After Cyclops disbanded the X-Men (following Messiah CompleX), Pixie returned to her hometown. She found the demonic N'Garai kidnapping people to feed their leader, Kierrok the Damned. 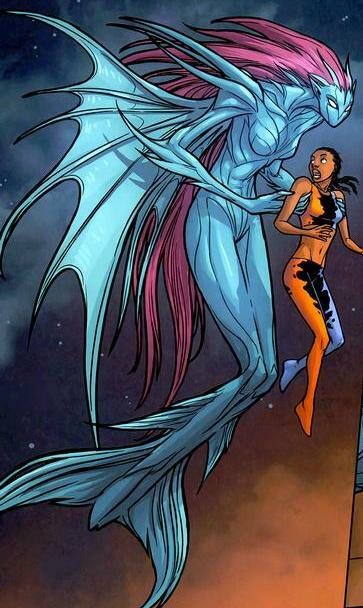 Pixie called in the X-Men to defeat Kierrok and N'Garai. 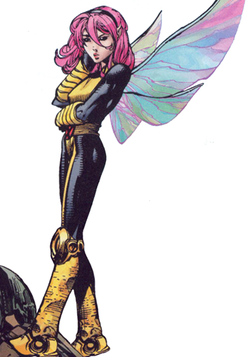 Pixie then returned with the X-Men to America, where she joined the team in their new base in San Francisco. After leaving one of Dazzler's gigs, Pixie was attacked by a group of masked anti-mutant men calling themselves the Hellfire Cult. After a brief period of time questioning her desire to remain with the X-Men, Pixie returned in time to help the X-Men defeat Empath, leader of the Hellfire Cult. Pixie reluctantly joined a group of X-Men to find Magik in Limbo where they fought Belasco's daughter, Witchfire. Witchfire forged a new Bloodstone from Pixie's soul before she was finally defeated by the X-Men and Magik. Magik returned to the X-Men but Pixie was despondent over losing more of her soul. Pixie soon discovered that her father was actually the deceased villain Mastermind (Jason Wyngarde). 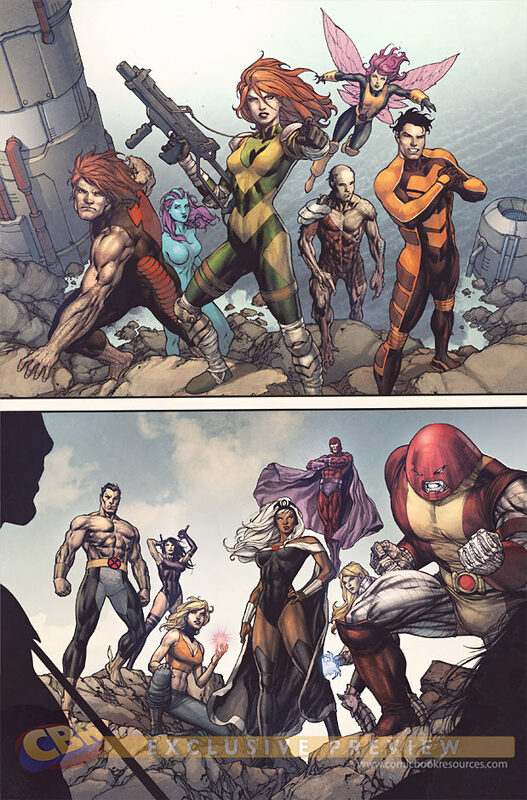 Shortly after, Pixie and the New Mutants team, in which Magik was a member, were captured by Project Purgatory on separate occasions. The Project succeeded in extracting the bloodstones from Pixie to summon the Elder Gods but both the Project and Elder Gods were defeated by the X-Men. After the battle, Magik gave Pixie a golden box containing her Souldagger and both her bloodstones. 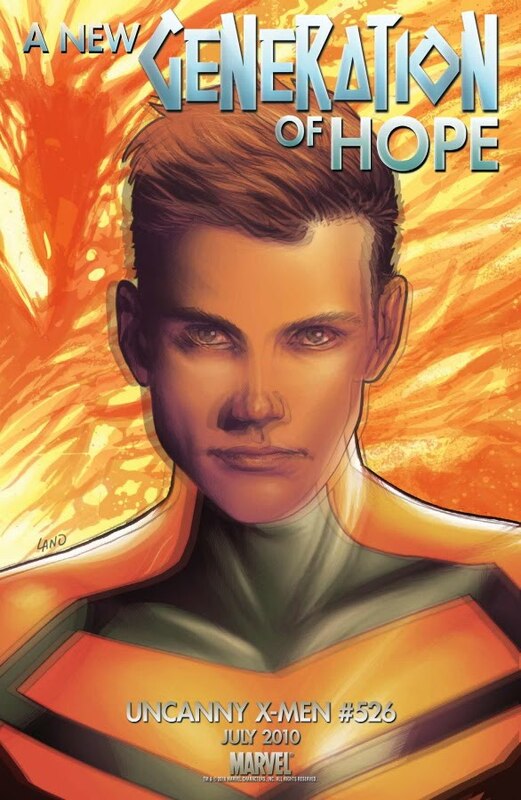 Some time later, Pixie flirted with Five Lights member Velocidad, unaware that he had something going on with team leader Hope Summers. Pixie was packing to join Wolverine to return to Westchester following his schism with Cyclops when Hope approached her to join her team. Born into an impoverished family, Sebastian became a self-made millionaire by the age of 30. He became engaged to fellow mutant Lourdes Chantel and was initiated into the Hellfire Club due to his vast fortune. He caught the attention of White King Ned Buckman and was inducted into the Inner Circle as the Black Rook. Ned eventually turned on Sebastian, sending the mutant-hunting robot Sentinels to attack him, killing Lourdes in the process. Along with fellow Inner Circle member Emma Frost, Sebastian engineered a coup and had the Inner Circle members killed, taking over as Black King. He took on Tessa as his personal assistant. The Hellfire Club under him clashed with the X-Men several times. He was eventually deposed by Magneto, who had the help of White Queen Emma Frost and Black King Selene. He was then apparently killed by his son Shinobi but returned to reclaim his position as Black King of the Hellfire Club. While making a bid to become Lord Imperial of the Club, he fell into Sage (formerly Tessa)'s ploy and was severely injured. Sunspot became Lord Imperial instead. When Sunspot left the Hellfire Club, Sebastian Shaw managed to become Lord Imperial. However, he was subsequently tricked and captured by Emma Frost and placed in the X-Men's brig. When Emma decided that Sebastian is a liability, she brought him to China and eventually wiped his memory. Shaw turned up on the Cerebra scanners. Hope believed that Shaw is a new mutant and brought the Lights to bring him in. 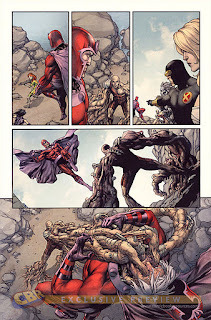 Shaw was attacked by Cyclops upon reaching Utopia and imprisoned. Cyclops showed Hope a dossier of Shaw's past deeds and left it to her to decide if she should let Shaw join her team. When Hope was attacked by Zero, Shaw was among those who helped her. 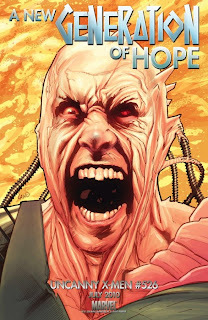 CBR X-Position with writer Kieron Gillen on Generation Hope: more..